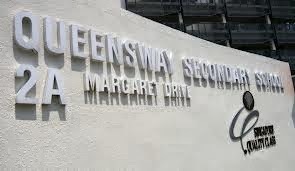 Queensway Secondary School is located at 2A, Margaret Drive in Singapore 149295. It is enclosed within the Queenstown Region. Queenstown is one of the earliest housing estate in Singapore. It was built before Tao Payoh and Ang Mio Kio. It can be found at the central-west end of the country. Nearest MRT is Commonwealth MRT and the closest bus interchange is Bukit Merah Bus Interchange. Amenities in the area include Queensway Shopping Center, Holland Road Shopping Center and Anchorpoint. Some of the schools close by are CHIJ St. Theresa’s Convent, New Town primary School and Crescent Girls School.